The Best Ellipticals of 2018 - Get the figure you want! Find Heavenly, Low-Impact Exercise with My Reviews for the Best Ellipticals of 2018! 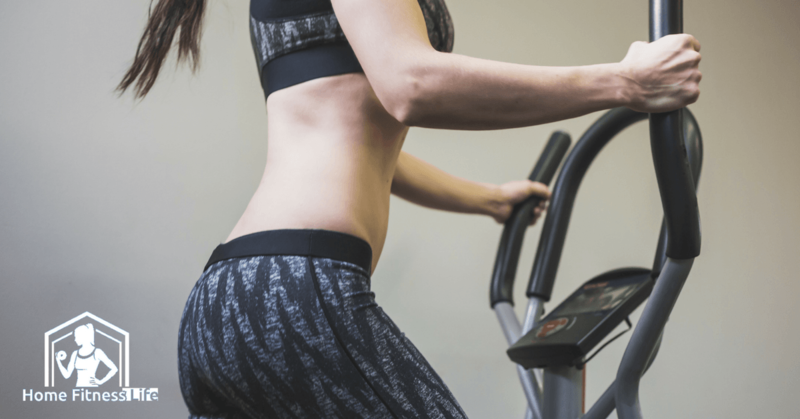 Can you lose belly fat using an elliptical? Is an elliptical a good workout? What part of the body does the elliptical target? What’s the best elliptical for money? Are ellipticals bad for one’s back? What are the benefits and disadvantages of ellipticals? I love using ellipticals. They became one of my favorite fitness machines when I had my gym membership because of the full-body workouts that they provide. Every time I went in, I would always hit up the ellipticals while listening to my morning podcasts. In this article, I'm going to discuss some of your options if you're looking into getting one of these marvelous machines in your home! One of the best aspects of owning an elliptical, as opposed to other fitness equipment, is that you can usually adjust the incline and resistance. It can trick you into thinking that you aren't working as hard as you are. You'll be able to workout for longer sessions because you don't feel pushed to your limits. If you don't mind to keep going and for you to push yourself harder. On an elliptical, the number of calories you burn depends on the intensity of the workout plus your weight. The more you weigh, the higher your heart rate, and the more calories you’ll burn. You can fire through to 400 calories in a half hour if you push yourself hard enough. If you want to improve the intensity of your workout on an elliptical, all you have to do is increase the resistance of the machine. Long term use can improve your balance and mobility. Ellipticals are perfect for people who're recovering from an ACL (anterior cruciate ligament) injury in the knee. Using an elliptical can also boost your health overall, including your lung capacity. You can upgrade your stamina as well as your cardio capacity. Ellipticals are also ideal for people with arthritis, as the workouts are easy on your joints. In some cases, it may even improve the condition. If you're someone that has knee or hip pain, you can use an elliptical without any added pressure. It won't cause any further damage to those joints. And the most obvious benefit of using an elliptical is increasing your heart rate for cardiovascular health. Exercising regularly reduces your risk of heart disease, and an elliptical machine can help with that. Absolutely. An elliptical provides a low-impact workout that works your arms and legs. As long as you consistently workout, your belly fat will lessen. Yes. An elliptical is easy on your knees, but some may complain that working out on an elliptical lacks excitement. Either way, ellipticals offer an effective total body workout with great cardio. Whether your walking or running, when you use an elliptical, your lower body is primarily at work. The machine typically targets hamstrings, calves, anterior tibialis, glutes, and quadriceps. 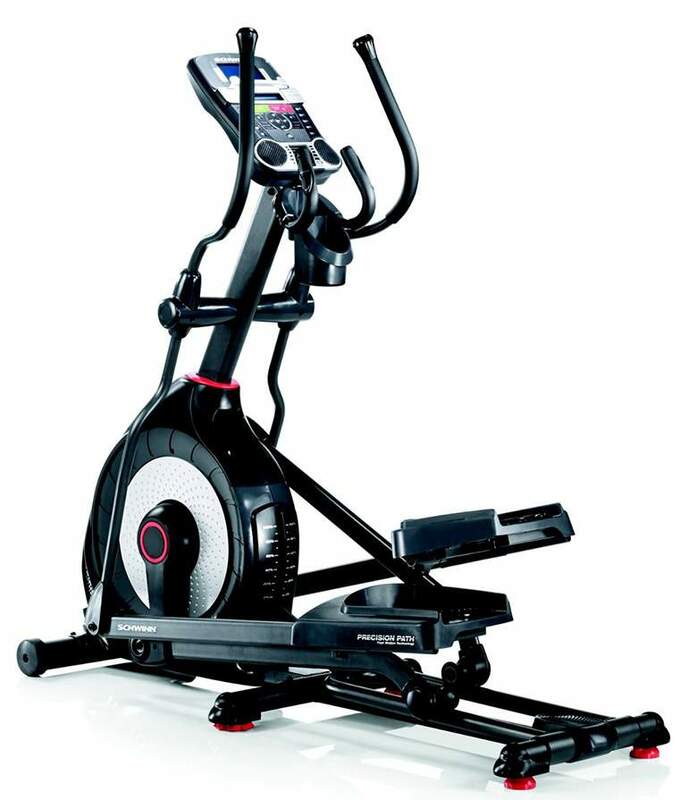 More than a few sources claim that the Schwinn 470 Elliptical is one of the best value ellipticals on the market. Though it has a large footprint, it has a decent warranty, 29 workout programs, and tracks data. Using an elliptical reduces that stress placed through your vertebrae and intra-vertebral discs. Also, the subtle rotation that comes from using your legs and upper trunk rotation has a relaxing effect on the para-spinal muscles. The advantage of using an elliptical is that it’s easy on your knees and joints. It is much easier on your body than running on solid ground. However, it doesn’t work your core or do as much to strengthen your lower body as the best treadmill might or the best rowing machine. But it is beneficial for burning calories. ​A trainer only strengthens the lower part of your body. 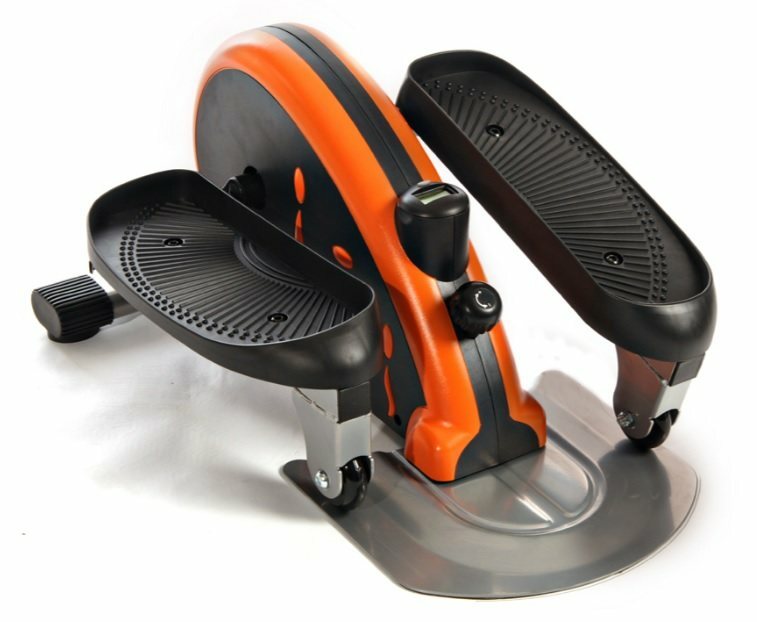 To use this kind of an elliptical, you stand on foot pedals while holding stationary bars. Pushing on the pedals creates a circular motion while working their lower body. ​A cross-trainer strengthens more muscles than an elliptical trainer, including your shoulders, upper back, elbows, and chest. ​Even though the glider looks just like an elliptical trainer, it's an entirely different machine, with different features. An elliptical glider combines a treadmill and a stair-climber. Together, it creates a motion similar to skiing. The glider track has two pedals. To use this device you allow your legs to glide along the track. Some elliptical gliders include handles, allowing you to adjust the resistance and the incline. Your legs move slightly backward instead of in circles like on an elliptical trainer. 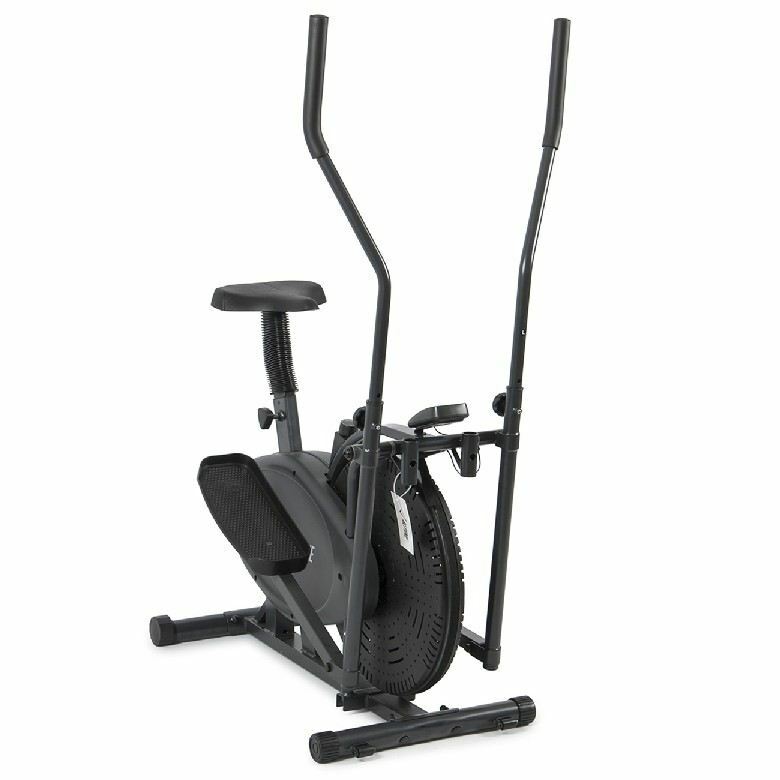 ​An elliptical with front positioning is usually the least expensive out of all the other machines. Because these models have more moving parts, they require more maintenance. They also tend to be noisier. They typically require you to lean forward during use and this kind of positioning may be uncomfortable for some people. 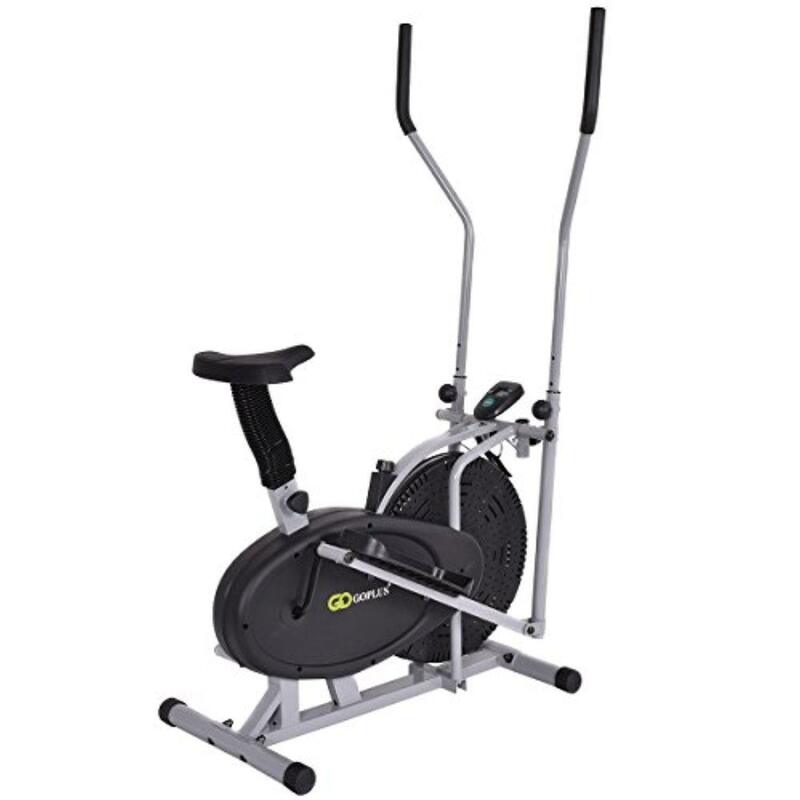 ​Ellipticals with rear positioning are the most popular on the market. These have less moving parts, and you can use them in an upright position, which most people find the most comfortable. These machines are typically quieter than their front-positioned counterparts. The only drawback is that these kinds machines are usually more expensive. ​There isn't as much information on ellipticals with center positioning as they are relatively new on the market. Though these models are generally more expensive, they offer better features. They tend to be silent and more compact. This might be one of the best elliptical machines available on the market. One of best parts of this machine is the way it tracks your data, making it motivating to reach your fitness goals. The machine has 29 preset programs to choose from with four user settings. Another great feature is that this machine has 25 levels of resistance to push you to your limits. One drawback to this device is its large footprint, so you'll need ample space to store it. The good news is that you can easily move it after you're done, using the wheels underneath.This model includes a very decent warranty that will help you purchase with confidence. Even though this machine is on the pricey side, it has many features to offer. This elliptical machine includes an LCD performance, iPod compatible audio, 32 workout programs, 24 levels of resistance, tablet holder, heart rate monitor, water bottle holder, transport wheels and more. It also includes a lifetime frame warranty, one-year labor warranty, and a three-year parts warranty. Though the machine is big, you roll it out of your way after you're done on the wheels under the frame. This one looks really futuristic! 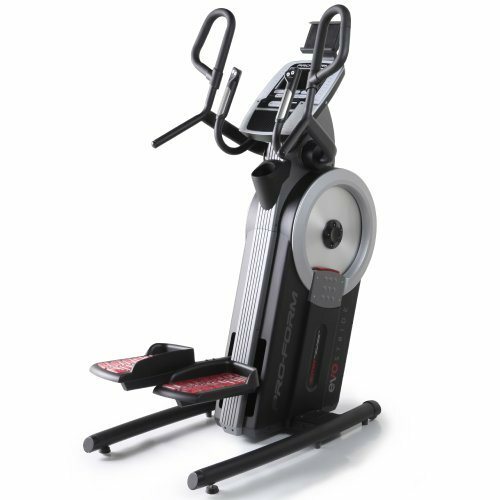 This model includes an adjustable incline, 22 workout programs, 20 resistance levels and more. The media player is iFit and iPod compatible. 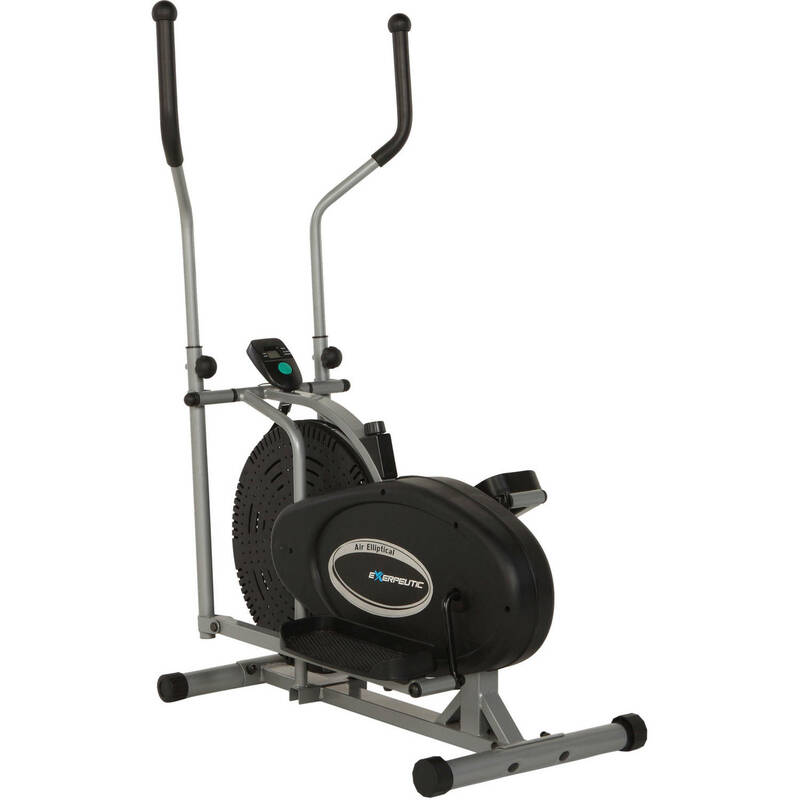 Just like some of the other elliptical machines, this model has a large footprint. This machine doesn't have all of the bells and whistles compared to the previous models, but it's a great product for what it provides. It includes a LED screen that displays calories, time, speed and distance. This machine requires manual adjustments to resistance and incline. The best feature about this machine is that you can stand or sit while working out, whichever you prefer. 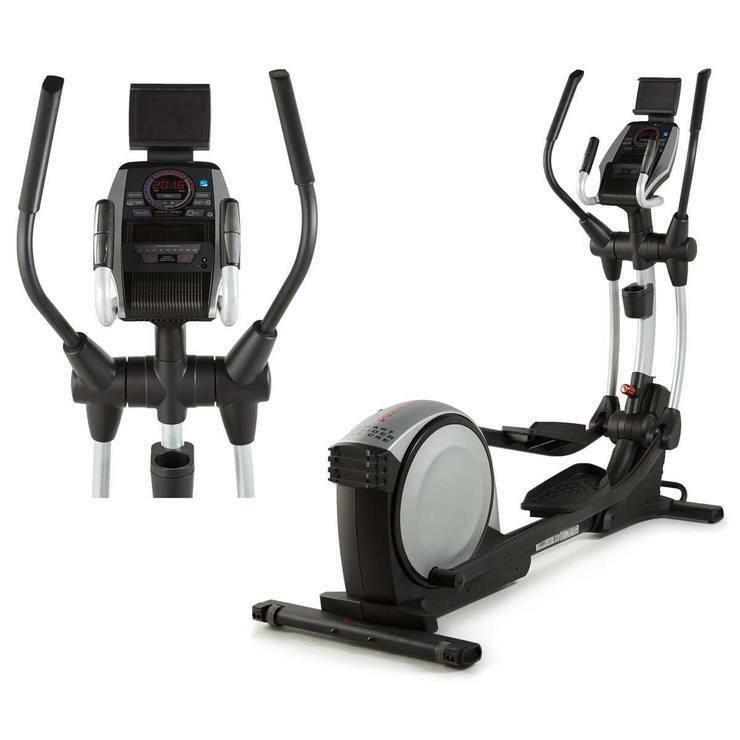 This elliptical is similar to the previous model that we've reviewed. This machine includes an LCD performance screen that displays distance, speed, time and calories burned. You can use this machine standing or sitting. To change the incline on this machine, you'd have to manually change it by using the dials. Using this unique elliptical is like gliding on air. This model doesn't have an electronic control to adjust incline and resistance. You have to make the adjustments manually. Another inconvenience regarding this machine is the noise it makes during use. It lacks a water bottle holder and a few other features, but still performs well for the cost. This machine is easy on your joints. It comes with a mat you can put under the machine, so it doesn't scratch your floors. 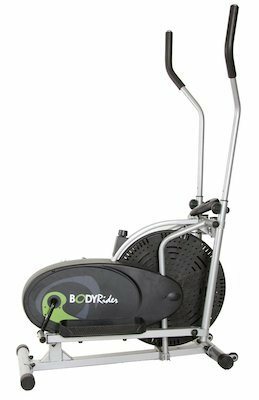 If you're looking for an inexpensive elliptical trainer this could be the model for you. It's easy on the joints. Compared to the previous machines reviewed in this roundup, this model is quiet when in use. This machine provides a decent stride length for a lower and upper body workout. Just like other models in this price range, you have to adjust incline and resistance manually. This machine is very different than other models in that it doesn't have any handles. This design is meant to strengthen your lower body.This model is lightweight and compact. You could even take it to your job if you wanted. You can use it while standing or sitting. It includes a monitor displaying time, strides and calories burned. Just like the previous machines, this machine is easy on joints.One interesting feature is that you can use the machine in forward or reverse motion. These activities burn about the same amount of calories as jogging, but it's low impact so that you won't injure your joints. 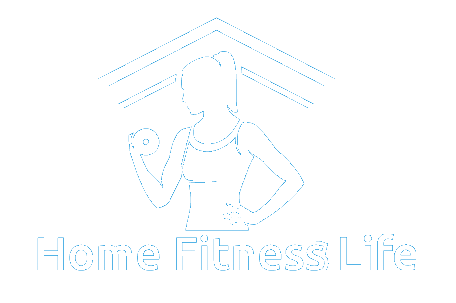 Click here to see some more excellent cardio machines and other fitness equipment from Home Fitness Life.